Using a cosigner on an auto loan seems as simple as getting somebody to offer their signature, but there's much more to it than that. How Does a Cosigner on an Auto Loan Work? A cosigner is somebody who signs a loan along with a primary borrower. This arrangement is usually the result of a lender asking for one when the primary borrower can't get approved for a loan on their own. There are many reasons for this, including when the primary borrower has bad credit, no credit history, or doesn't meet the lender's income requirements. Most commonly, a cosigner is a family member, spouse, or close friend that wants to help the borrower get approved. If a cosigner is needed to boost credit, they need to have good or great credit and, if they’re not married, both the cosigner and primary borrower have to individually qualify for the loan. If a cosigner is needed to enhance income, they need to be the spouse of the borrower, which is the only way incomes can be combined to meet a lender's requirement. 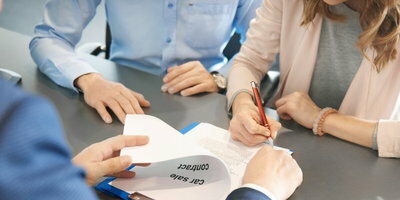 To get the deal done, all a cosigner needs to do is sign their name on the dotted line along with the primary borrower. But make no mistake, the role of the cosigner goes far beyond that of a simple character reference. 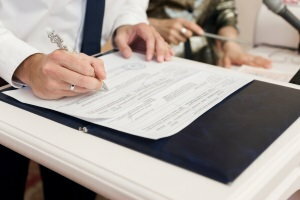 By signing their name to the loan, the cosigner becomes legally obligated to it. This means they're bound to repay the loan in the event the primary borrower doesn't, giving the lender a guarantee the loan will be paid back. For this reason, lenders are more willing to approve borrowers with poor credit who have a cosigner with good credit. Responsible for Paying Back the Loan: The cosigner may have to make any missed payments, or pay the remainder of the loan if the primary borrower defaults (including late fees or other costs). The lender can also sue and take collection action against the cosigner, including wage or bank account garnishments. 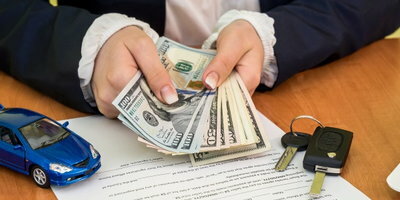 The Loan is Part of their Credit: Despite not having any ownership right to the vehicle, the loan appears on the credit reports of the cosigner as if it were their own. This means their credit score can be impacted for better or for worse. If things go south, late payments, delinquency, judgments, collections, and more can drop the cosigner’s credit score and appear in their credit reports. This can also impact a cosigner's ability to obtain credit on their own, as this debt will be factored into future credit decisions while the loan is open. Hard to Get Removed: Lenders typically don't allow a cosigner to be removed from an auto loan, so they're usually in it for the long haul. Typically, the only way to get out of it is if the primary borrower can refinance the loan on their own. 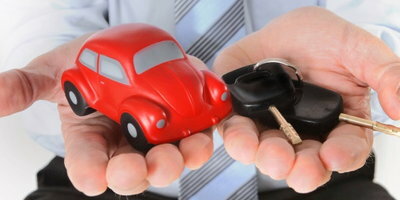 For these reasons, cosigning a car loan isn't an arrangement to be taken lightly. The cosigner takes on all of the loan's responsibilities without getting ownership rights to the vehicle. However, it's a personal decision, and helping the primary borrower get approved may be worth the risk in the cosigner's eyes. If you need an auto loan and are dealing with less than perfect credit, we recommend that you try to get approved without using a cosigner. Try saving up a larger down payment, improving your credit before applying, or finding a first-time buyer program. Or, you may simply need to get connected to a dealership that can work with your current situation. At Auto Credit Express, we match consumers dealing with unique credit situations to dealerships that are trained in special finance. We can help you find a dealership in your area if you fill out our free and secure auto loan request form online.